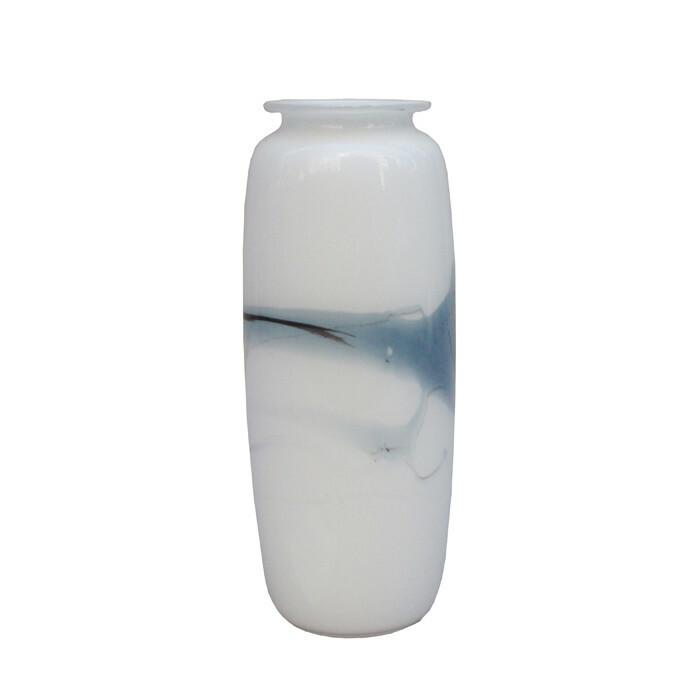 A Holmegaard small glass vase designed by Michael Bang. White glass with blue colored swirl patterns. Dimensions: H:7½ Diameter: 2¾ Inches.